Have you ever had your PU leather bag handles tear on you? If the rest of the bag is still intact, it’d feel like such a waste to toss it! This happened to me recently and I decided to try my best to save the handles and give it a new look! All this just with some ribbon lying around! Use double-sided tape or glue to stick one end of the ribbon to the start of the handle and go around it a few times. Bring the ribbon around the handle (over and then under) and pull tight to form a knot. Repeat down the entire bag strap, keeping each knot close. At the end, tie a double knot with the remaining ribbon. Stuff it under more ribbon loops and knot it till it’s happy and secure. 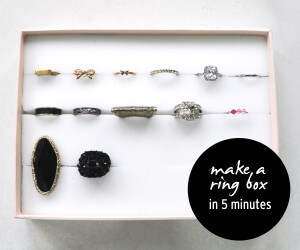 Cut off the remaining ribbon after the knot and use nail varnish to prevent the end from fraying. Voila! You have yourself new bag handles! Well, you may consider yourself my savior. I was about to give some 50 euros (about $63) to repair to of my handbags. I can’t even thank you enough for this post! How do you know how long of a ribbon to have to cover each handle? 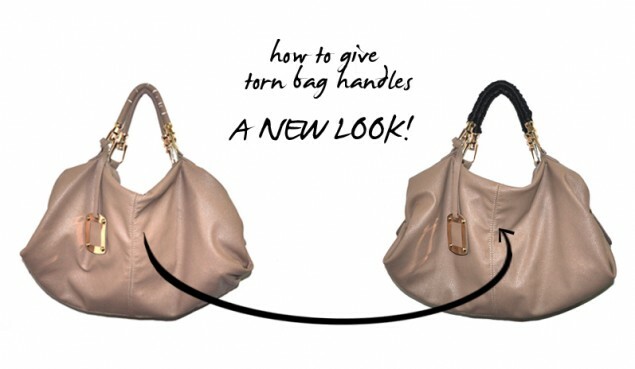 Thanks for the tip..you’ve just saved my favorite handbag!!! Hi Barb! Glad this helped you :) The length depends on how closely you knot the ribbon with each tier, the length of your bag handle, etc. You could potentially take a measuring tape or spare ribbon/ material that’s similar in width and wrap it round the handle a few times to cover one section. Multiply this length needed by the number of sections needed to cover the entire handle and multiply it again by 2 to give enough space for the knot and add some excess for the start and finish wrapping. This was just what my handbag needed! I did this for my bowler handbag. The handle length was maybe almost twice the length than the handles on the bag in the tutorial and for those going out to buy ribbon especially for this project, I used 4.5m! I also sewed the ends into the handle to make sure it wouldn’t unravel and finished it with some ribbon bows and sewed on some beads from a broken bracelet. Hi Krishna, thank you for sharing. :) Your handle save sounds really creative – would love to see a photo of it! Thanks for such a great idea! My black leather bag is saved! Loved my bag all over again! 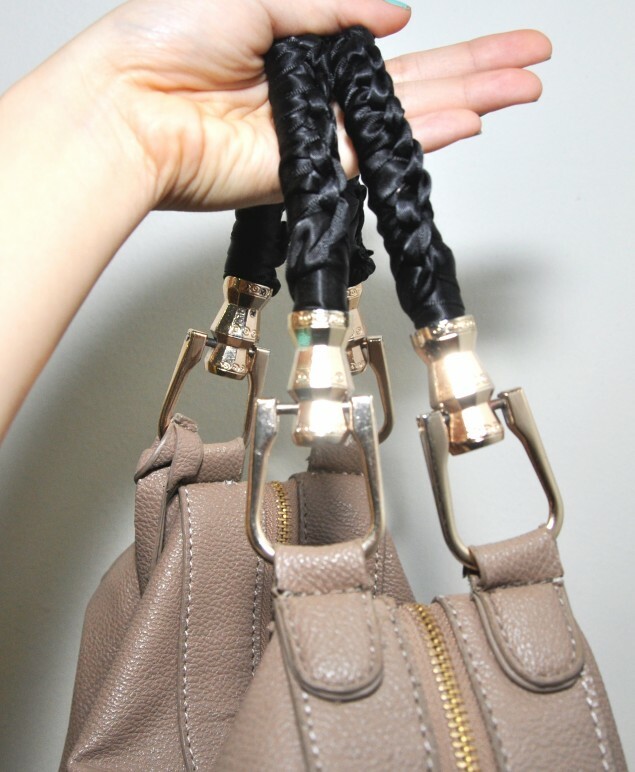 These purse handles are beautiful. Wow.. am seriously blown away at the simplicity of the cure. Do you have any ideas to fix flaking parts elsewhere on the bag? 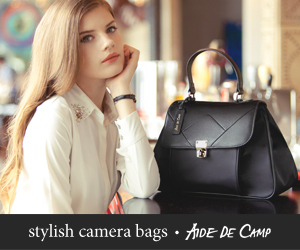 And also change the Color of faux leather bag which can’t be cleaned any which way. Thanks a ton. How do you get it so neat? Mine’s a disaster. SMARTTT!! :) this was a brilliant idea! You are so clever. This is a great look. Thanks for sharing. Hi Michele! What size (width) of ribbon did you use? Thanks! Thank you… You amazing idea, saved my really expensive back. Used 2 colours of ribbon to make colourful matching strap. Thank your… You amazing idea, saved my really expensive bag. Used 2 colours of ribbon to make colourful matching strap. I just wanted to turn everyone on to a great leather supplier out of NYC. They are called District Leathers. Their website is http://www.districtleathers…and they are super friendly and helpful. They carry all types of leather that you can take out right from their showroom on 263 West 38th St. (15th floor) in NYC. No appointment necessary. I wish I had seen this earlier. But am glad I have seen this now. I won’t have to loose any of my leather bag anymore.